Microsoft Windows Outlook is an email client that provides functionality to send and receive emails, attachments, calendars, notes etc. But sometimes it is unable to authenticate your email account while sending and receiving information and then shows Outlook error message code 0x800ccc0e. So in this post, you will find the best manual method to fix Outlook error 0x800ccc0e. It is very often to receive Outlook error message 0x800ccc0e while configuring your email account in Windows Outlook to send emails. When you try to send an email then Outlook email server authenticate your email account first. If outgoing mail server rejects authentication of specifies email account then it prompts “outlook error message code 0x800ccc0e”. Follow the steps mentioned below to solve outlook authentication error 0x800ccc0e easily and quickly. The outlook error code 0x800ccc0e may occur due to mismatch of outgoing server SMTP port. In this method, you need to check for outgoing server port number and make it either 25 or 587. Follow the steps given below to change SMTP port number and solve outlook error code 0x800ccc0e. Go to Outlook and hit on Tools from the menu bar. From opened list click on Account Setting. Now Account Setting window will appear. Simply click on E-mail tab and then your Email Account. You will be prompt by Change E-mail Account pop-up window. Click on More Setting tab. Now an Internet E-mail Setting pop-up window will appear. Click on Advance tab from the menu bar. Locate Outgoing Server (SMTP) and make server port number 587. At the end click on OK button from the bottom. After changing the SMTP port number, try to send emails if you are not getting outlook error 0x800ccc0e. It means you resolved this error successfully. If the error remains same then try method 2. The outlook may encounter error 0x800ccc0e if it is unable to authenticate your outgoing server (SMTP). Perform the steps mentioned below and fix outlook error code 0x800ccc0e. Open Outlook and click on Tools tab. Hit on Account Setting from the opened list. First, click on E-mail tab and then hit on your email account. Now click on More Setting tab from the opened Change E-mail Account pop-up window. From Internet Email Setting pop-up hit on Outgoing Server tab and check on the My outgoing (SMTP) requires authentication checkbox. At the end click on Ok to finish the process. If after applying above mentioned method you are unable to fix Microsoft Outlook Error Code 0x800ccc0e then try best Outlook recovery software to solve outlook error without losing the single bit of your data. 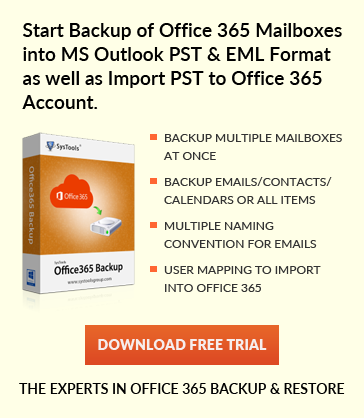 It is safest and quickest way to fix Outlook error.